The Department of Fire and Emergency Medical Services shall transition to a fully integrated, all hazards agency. a) All entry-level candidates for operational positions shall be required to have the same minimum qualifications. All operational employees shall be cross-trained at basic levels of EMS, fire prevention, fire suppression, hazardous materials and technical rescue. b) The Department shall offer current single-role providers basic training for all hazards on a phase-in basis. The Department shall allow single role providers to meet adjusted fitness standards that fairly and reasonably accommodate their incumbent status, including their age and level of experience. c) The Department shall continue to maintain a cadre of personnel who are specialized EMS providers at various levels of training who serve primarily in patient care. The overall size of the Department’s workforce creates an opportunity for specialization among employees, permitting the inclusion of those with a passion for patient care without compromising excellence in fire suppression, rescue, hazardous materials response, and other services. d) All employees shall have the same basic pay and benefits. The City Administrator shall develop a plan, no later than March 31, 2008, to transition to pay and benefits parity between current single-role medical providers and dual-role providers. Reform Department structure to elevate and strengthen the EMS mission. a) The Mayor shall appoint a Medical Director who shall hold the rank of Assistant Fire Chief. The Medical Director shall report to the Fire/EMS Chief but may be removed only by the Mayor. The Medical Director shall be a physician licensed to practice to medicine in the District of Columbia, board certified in a medical specialty that represents the broad patient base that EMS serves (emergency medicine, general surgery, family medicine, or internal medicine). Candidates must also have four years of substantial experience in EMS or other similar out-of-hospital care, including experience as EMS Medical Director, Assistant Medical Director or successful completion of a recognized EMS fellowship. The Medical Director shall: provide medical oversight for all aspects of emergency medical services provided by the Department including, but not limited to written policies, procedures and protocols for pre-hospital emergency medical care, medical training, and quality assurance of medical services; supervise the administration of emergency medical care; and work collaboratively with the Fire/EMS Chief, assistant and deputy chiefs, and other personnel in the Department. The provision of emergency medical care by the Department’s certified emergency medical technicians shall be under the license of the Medical Director. b) There shall be an Assistant Chief for Emergency Medical Services (EMS), reporting directly to the Chief of the Department. The Assistant Chief for EMS shall have at least 15 years of experience in the practice of emergency medicine as a paramedic or higher level of practice and leadership experience in EMS. The Assistant Chief for EMS shall have the staff needed to implement and sustain the recommendations and meet the objectives of the Task Force, and will have responsibility for analysis and planning for all medical units, including strategic planning, budgeting, program evaluation, special operations, and prevention. c) The Chief shall also create additional positions of EMS Battalion Chiefs and EMS Captains for the purpose of (1) ensuring strengthened, 24 hour a day, seven days a week, supervision of EMS delivery in the field and (2) creating an EMS career track for those personnel who are specialized EMS providers at various levels of training who serve primarily in patient care. Obstacles, perceived and real, to incorporating single-role employees and their workload into multi-role operations. Improve the level of compassionate, professional, clinically competent patient care through enhanced training and education, performance evaluation, quality assurance, and employee qualifications and discipline. a) The Medical Director shall implement, no later than December 31, 2008, a comprehensive training and educational program for emergency medical technicians and paramedics. The program shall include new employee orientation, periodic classroom and internet-based continuing training, case review and peer learning opportunities, simulation exercises and field-based training. The Department shall pursue partnerships with medical education institutions to enhance training and clinical practice and increase the internal training capacity of the Department. The training program may include Department and external trainers under contract, as deemed appropriate by the Medical Director. b) The Medical Director shall establish, no later than November 20, 2007, procedures to certify the operational competency of medical providers at all levels of training within the Department. This may include, but is not limited to, (i) demonstration of compassionate and professional service to patients; (ii) successful execution of key clinical competencies in the field; and (iii) completion of a minimum number of hours or medical calls under provisional status. c) The Medical Director shall establish, no later than November 20, 2007, a process to evaluate current employees for proficiency at their respective levels of clinical privileges. This evaluation and certification process shall be completed not later than December 31, 2008. Effective December 31, 2008, response to medical calls may be provided only by Department apparatus with at least one field-certified provider as described above. d) Effective immediately, the Medical Director shall oversee the clinical performance evaluation of all personnel with medical certification at least once a year. In addition to any other disciplinary basis (see sub-recommendation (k) below), based on the results of the annual performance evaluation, personnel may be approved for continued duty, assigned to supplemental training, placed on provisional EMS status, or temporarily or permanently relieved of their EMS proficiency status. The Department shall also provide enhanced field supervision as ongoing quality assurance for all personnel. Documentation requirements should include: (1) all evaluation and treatment, (2) all providers, (3) all care transfers, and (4) documentation of arrival at the receiving facility as well as who and when the transfer to receiving facility personnel occurred. Online medical direction to FEMS personnel shall be provided only by licensed physicians who are adequately trained and are designated as qualified by the Medical Director. Online medical direction shall be subject to the QI process. f) The Chief, no later than December 31, 2007, shall design and implement an annual program to recognize and publicly reward employees for EMS performance that demonstrates exceptional compassion, professionalism, and clinical competence. g) The Chief shall periodically conduct confidential, anonymous surveys of Department employees regarding their attitudes, concerns, and opinions relating to the Department’s provision of emergency medical services. The first survey shall be completed no later than December 31, 2007. Improve complaint tracking by FEMS. i) The Chief shall, no later than December 31, 2007, establish hiring preferences for candidates and, subject to collective bargaining agreements, promotional preferences for employees with degrees from recognized accredited higher education institutions and relevant certifications or skills. All candidates for promotion to the rank of Sergeant or higher to have served as a field-certified EMS provider, according to criteria established by the Medical Director that requires a minimum cumulative number of patient contacts, assessments and treatments. k) The Chief shall, no later than December 31, 2008, establish an Internal Affairs Unit, table of penalties, online records and tracking for Quality Assurance/Quality Control, and disciplinary timelines for operational employees. Penalties for employee misconduct should be swift, fair and appropriate. l) The District Attorney General, in consultation with the Chief of the Department, shall submit to the Chair of the DC Council Committee on Public Safety and the Judiciary, no later than November 20, 2007, recommendations to strengthen the Department’s ability to terminate Department employees for medical malfeasance and misconduct. m) The City Administrator and FEMS Chief shall complete an implementation plan for the recommendations of the Task Force, with input from Mr. Halliday and Dr. Barbera, that includes input, process and output metrics. Progress on implementation of the recommendations shall be measured through the CapStat process, including CapStat sessions in April and October of 2008 to which members of the Task Force shall be invited. Enhance responsiveness and crew readiness by revising deployment and staffing procedures. a) The Mayor shall establish a goal of providing ALS responses according to the National Fire Protection Association Standard 1710, 100% of the time, as well as a goal of providing transport responses within 13 minutes, 100% of the time. The Department shall conduct quality improvement review of those calls where the goal is not achieved. No later than March 20, 2008, and every six months thereafter, the Mayor shall certify that the District of Columbia has met this goal, or announce what steps are being taken to achieve this goal. b) The Mayor and Chief shall work together to come with a recommendation to the Council to implement shorter shifts for all employees and other recommendations to ensure the goal of having alert and awake employees who can provide competent patient care. c) The Chief shall establish, no later than March 31, 2008, and as available staff allows, a practice for assignment to transport duty in which employees are permanently assigned to ambulance service for periods of not less than 90 days, rather than intermittently with fire apparatus duty. d) The Chief shall report, no later than March 31, 2008, on procedures for peak load staffing of transport units, that enable an adequate number of units to meet response time targets. The Chief shall also establish by the same date a procedure for dynamic deployment of units to provide coverage when any particular area of the District experiences a shortage of available units. e) The Chief shall develop and implement a series of service delivery alternatives that provide efficient, rapid response with a variety of apparatus and personnel. Reduce misuse of EMS and delays in patient transfers. a) The Chief, in partnership with other District agencies and providers, shall develop and begin to implement, no later than March 31, 2008, an outreach program for patients with chronic needs. b) The Chief, in cooperation with other District agencies, shall develop and implement, no later than March 31, 2008, a public education program regarding appropriate use of the 911 system. c) The Chief and the Director of the Office of Unified Communications shall, no later than December 31, 2008, collaborate to improve the 911/311 dispatch process so that call takers and dispatchers have improved training and enhanced ability to distinguish between emergency and non-emergency medical calls. d) The Medical Director, with the support of the City Administrator shall, no later than November 20, 2007, establish and clarify roles and responsibilities for the Department and the Metropolitan Police Department for treatment of uninjured intoxicated patients and for transport of patients to the District’s detoxification facility. e) Effective immediately, the Medical Director should exercise his full authority to order hospital emergency rooms within the District not to close to Department transports, and to require hospitals and medical providers to accept the transfer of care of a patient or patients within a specified period of time. 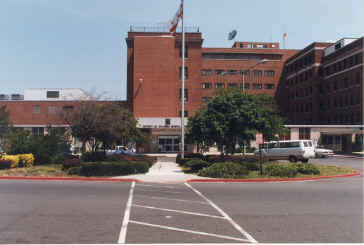 f) The City Administrator shall, no later than November 20, 2007, convene a working group including hospital CEOs, DOH, and the Medical Director to meet quarterly to address and develop standards for drop times, diversion, and closure, and to improve procedures for tracking patient outcomes. The Medical Director should consider the results and recommendations of this group in exercising his discretion under the previous paragraph. g) The Medical Director shall, no later than September 30, 2008, develop a procedure to authorize patients to be transported to a pre-approved clinic or other non-emergency medical facility, appropriate to the patient's need. h) The Medical Director and the Director of the Department of Health shall develop and implement, no later than September 30, 2008, a system of alternative transportation options (such as scheduled van service, taxi vouchers, or MetroAccess vouchers), as well as protocols to refuse transport for non-urgent patients, when appropriate, subject to the authorization of a medical supervisor. Strengthen Department of Health (DOH) oversight of emergency medical services. Authority for DOH to issue fines and penalties to hospitals that fail to accept Department transports and assume care of patients within a specified period of time pursuant to the procedures established through recommendation 5 (f). b) DOH shall immediately adopt the National Highway Traffic Safety Administration standards for EMS certification at all levels of training and as the minimum standard for the District of Columbia. Whenever possible, accreditation by nationally recognized bodies shall be adopted to establish testing and certification requirements. 1. These recommendations were approved by the Task Force at its September 20, 2007 meeting with leave for Task Force members and staff to make additional, minor edits prior to their release as part of the Task Force’s final report. 2. For the purposes of this recommendation, the term “personnel” does not include support or administrative staff, which includes communications and legal staff. 3. The phrase "EMS provider” includes all levels of EMTs and paramedics.